In the last issue, we talked about the mythological origin of Chinese herbalism with the Emperor Shen Nung, and his experiments with medicines, herbs, and poisons. Health assessment methods using the Five Elements and Yin and Yang were discussed. 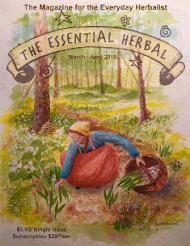 In this issue, Marita goes into some of the individual herbs and modalities of treatment…. Because it is a safe, inexpensive solution to health problems of all kinds, Chinese herbalism is very popular in China. 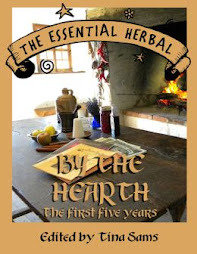 In recent years, herbalism has been modernized with the introduction of quality control. Because they are standardized, Chinese herbs are safer for self-treatment. This puts the individual, not the physician, in charge of the individual's health; that is a basic goal of Chinese herbalism. Chinese herbalism offers unique advice regarding what foods can help and what can hinder, and an herbalist can help an individual discover what he is allergic to. In addition, Chinese herbs stimulate the immune system and provide beneficial nutrients, aside from their role in curing illness. There are many herbs to choose from. I have chosen the following herbs because of their potential for helping with cancer and the many side effects that it entails. One of the most talked about herbs from Asia is Astragalus. Astragalus membranaceus. Has been used since ancient times in Traditional Chinese Medicine, It is an important remedy in the west since its effects upon the immune system have been revealed. 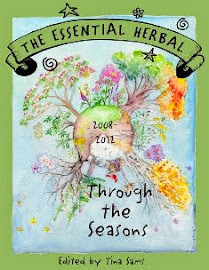 As the power of immunological research is focused on medicinal herbs a whole new array of effects are being discovered. The polysaccharides in Astragalus have been shown to intensify phagocytosis of reticulo-endothelial systems, stimulate pituitary-adrenal cortical activity and restore depleted red blood cell formation in bone marrow. Astragalus is also one of the herbs known to stimulate the bodies natural production of interferon. The therapeutic potential offered is very exciting. The conclusion being drawn by most western herbalist's is that Astragalus is an ideal remedy for anyone who might be immune-compromised in any way. This can range from someone who easily `catches' colds to someone with cancer. Prepared as a decoction. Put l teaspoonful of the root into a cup of water, bring to boil and simmer for l0-l5 minutes. This should be drunk three times a day. 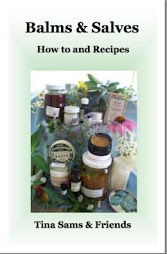 As a tincture: take 2-4 ml of the tincture three times a day. It is the herb of choice where the immune system has been damaged by chemicals or radiation and can be used by patients who are under treatment since it is extremely safe. In this recipe, Astragalus also helps make the entire butter more digestible. Pumpkin seeds and sesame oil both have some anti-parasitic properties. Using Astragalus in the nut butter adds an immune boosting quality to the spread without damaging the taste. The honey adds flavor and shelf life. Instructions:Gently warm tahini and pumpkin butter in a double boiler at a very low temperature. When smooth enough to stir relatively easily, add Astragalus powder and enough sesame oil to give a good consistency. Remove from heat and add unfiltered honey to taste. Be sure not to add water nor permit steam condensation to remain in the butter as this will promote the growth of mold. Use this as a substitute for peanut butter. It tastes fabulous and is very healthy. Asian ginseng common Names are Asian ginseng, ginseng, Chinese ginseng, Korean ginseng, Asiatic ginseng. It’s Latin Name is Panax ginseng. Asian ginseng is a light tan, gnarled root, sometimes resembling a human body, with stringy shoots that look like arms and legs. Hundreds of years ago, herbalists took this appearance to mean that ginseng could cure all human ills, and it has, in fact, been used as a "cure-all" in many different cultures. The Chinese view ginseng as the king of herbs -- one that brings longevity, strength, and wisdom to its users. Claims for Asian ginseng are numerous and include the use of the herb to support overall health and boost the immune system. Traditional and modern uses of ginseng include are that it improves the health of people recovering from illness. It also increases a sense of well-being and stamina, and improving both mental and physical performance. The root of Asian ginseng also contains active chemical components called ginsenosides (or panaxosides) that are thought to be responsible for the herb's medicinal properties. The root is dried and used to make tablets or capsules, extracts, and teas, as well as creams or other preparations for external use. Some studies have shown that Asian ginseng may lower blood glucose. Other studies indicate possible beneficial effects on immune function. To date, research results on Asian ginseng are not conclusive enough to prove health claims associated with the herb. Several clinical studies support the use of Asian ginseng in the treatment and possible prevention of cancer. A study comparing groups of people over time suggests that regular intake of Asian ginseng may reduce the chances of getting various types of cancer, especially lung, liver, stomach, pancreatic, and ovarian. In this particular study, this benefit was not observed for breast, cervical, or bladder cancers. Preliminary results of other research suggest that Asian ginseng may improve treatment of colon cancer in animals. More research is needed. Asian Ginseng is also used in Treating erectile dysfunction, hepatitis C, and symptoms related to menopause. It can also be used to Lower blood glucose and controlling blood pressure. It could be helpful in treating alcohol intoxication. The herb may accomplish this by speeding up the metabolism (break down) of alcohol, thus, allowing it to clear more quickly from the body (lowering blood alcohol content). Animal research also suggests that Asian ginseng may reduce the absorption of alcohol from the stomach. When it is taken by mouth, ginseng is usually well tolerated. Some sources suggest that its use be limited to 3 months because of concerns about the development of side effects. The most common side effects are headaches and sleep and gastrointestinal problems. Asian ginseng can cause allergic reactions. There have been reports of breast tenderness, menstrual irregularities, and high blood pressure associated with Asian ginseng products, but these products' components were not analyzed, so effects may have been due to another herb or drug in the product. People with diabetes should use extra caution with Asian ginseng, especially if they are using medicines to lower blood sugar or taking other herbs, such as bitter melon and fenugreek, that are also thought to lower blood sugar. Red Reishi (Ganoderma Lucidum), commonly known as Ling Zhi in Chinese, is a herbal mushroom known to have miraculous health benefits. Red Reishi are antler-shaped mushrooms. It has been used in Japan and China for over 2,000 years and thus making it the oldest mushroom known to have been used as medicine. Since ancient times, the Reishi mushroom was reserved for emperors and royalties. It has been revered as nature’s rarest and most beneficial herb. In the Superior category of Shen Nung Ben Cao Jing, the oldest and most famous medical text on Oriental herbal medicine, red Reishi is ranked as taken regularly, it can restore the body to its natural state, enabling all organs to function normally. It is also an Immune modulator, it regulates and fine tunes the immune system. It is the number one herb, ahead of ginseng, because of its following qualities. Highly ranked in Chinese medicine, the Reishi mushroom is non-toxic and can be taken long term without any side effects. When added to your daily regime, Reishi can help the body regain and maintain a state of health. It also regulates the immune system so that it works efficiently to keep you healthy. Reishi mushrooms contain amino acids, proteins, polysaccharides and triterpenoids. These active ingredients have benefits for the body including anti-tumor action and helping the body use oxygen more efficiently. Studies done in Japan, the USA, China and the UK over the past thirty years repeatedly show that taking Reishi has resulted in a reduction in disease, every day ailments and an improvement in the body's condition. Reishi has benefits for every organ system in the body. The studies also support the use of Reishi as a general tonic. It normalizes the body's organs and functions and maintains health. Called an adaptogen, Reishi helps the body adapt to various stresses like sleep deprivation, temperature, toxin exposure, infection, psychological stress and trauma. Reishi mushroom is analgesic, anti-inflammatory, antibacterial, antiviral and helps fight off tumors. It helps allergies by lowering histamine reactions. 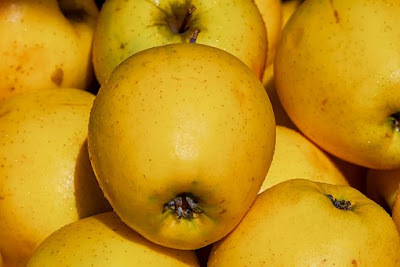 It can lower blood pressure and has antioxidant qualities. Reishi encourages the proliferation of bone marrow cells. It can help lower serum cholesterol levels and is a tonic for the heart and liver. This mushroom reduces the effects of caffeine. It boosts the immune system, and is showing promise for dealing with HIV. It improves the adrenal functions as well. It is used as a sedative for dizziness and insomnia, as well as being a general aid for weakness. Reishi is showing great promise for asthma and other respiratory problems. It strengthens the bronchial cells and can relieve coughing. A large study in China reported that 60% to 90% of the participants felt better within two weeks after beginning Reishi, even though they had chronic bronchitis. Reishi mushrooms have no known side effects to worry about, but as with every herb a person should test a small amount to be sure that they are not allergic to the mushroom. Some people may experience some symptoms of detoxification in their bodies, such as mild stomach upset, dizziness, rash or sore bones. These symptoms are temporary and due to the excretion of accumulated toxins in the body. Feeling these symptoms tells you that the Reishi is doing its job. There are no known contraindications or drug interactions for Reishi mushroom. Reishi is even safe for children and And pregnant women. Reishi mushroom is available as commercial preparations like tablets, injections, tinctures, capsules and teas. This mushroom can also be made into syrups or added to soups. Besides physical benefits, the Reishi mushroom also elevates the mood. In Chinese medicine, it is said that Reishi makes a person more spiritual. The ancient herbalists called Reishi the herb of spiritual potency and used it to promote longevity. Considered among the most powerful natural healing herbs in Asia, it was very rare and expensive to obtain until recently. Asian cultures have also used Reishi, rendered in jade, as a talisman worn around the neck. Sometimes, whole, dried Reishi are placed in the home to ward off evil energies. If possible, use a Chinese double boiler. If not, clay, Pyrex or stainless steel pans work. Combine 3 one inch sections of Red Reishi with a chicken thigh or your favorite vegetables in 3 cups water. Add a few slices of ginger or mashed garlic cloves. Cover and simmer at a very low heat for 1 to 3 hours. Holy basil, ocimum sanctum, or tulsi, is an herb commonly used in Thai and other Southeast Asian cuisines. It has a spicy, peppery flavor unlike that of the sweet basil common in most American markets. Holy basil has both medicinal and spiritual significance in Ayurveda . It is sometimes planted near Hindu shrines. It is sacred to Lord Vishnu, the Hindu god of preservation and is considered purifying to body, mind and spirit. A living Tulsi plant is kept in many Indian homes where it is endowed with a sacred aura and believed to provide divine protection for the household. Rosaries made from its cut stems are commonly used as meditation beads. Closely related to the sweet basil plant widely available in the West, holy basil has been used as a valued culinary and medicinal herb. Its traditional use has been in the treatment of colds and flues where its purifying actions are believed to cleanse the respiratory tract of toxins. It is also helpful in the relief of digestive gas and bloating. Recent scientific reports have confirmed the healing properties of holy basil in medical conditions ranging from diabetes to cancer. Holy basil is reputed to be antibacterial, a strong antioxidant and roughly as effective as aspirin in alleviating pain and swelling. Some herbalists recommend it for treating allergies and fighting colds and flu. because it grows best in tropical climates. In addition to its ability to dampen the chemical changes of stress, holy basil also appears to influence the neurochemistry of the brain in a manner similar to antidepressant medications. These interesting pharmacological properties have recently been applied to different clinical situations with potentially important results. A number of studies have looked at the ability of holy basil to protect healthy cells from the toxicity associated with radiation and chemotherapy for cancer. Components of holy basil consistently limit the damage that radiation causes to the bone marrow and digestive tract in animals. When the cells were looked at microscopically, those animals that received holy basil had less chromosomal damage than those that received a placebo. Holy basil has also been shown to protect the heart from damage caused by a widely used chemotherapy drug, adriamycin. It seems to work by protecting components of heart and liver cells from oxidative damage caused by free radicals generated by the chemotherapy. Other studies have shown holy basil to have a protective effect against chemical carcinogens. Adding to its potential value in the prevention and treatment of cancer, holy basil has also been shown to enhance different aspects of the immune response in animals. Another medical condition that holy basil may benefit is diabetes. Studies have shown holy basil to have substantial blood sugar lowering effects, similar to standard oral diabetes medications. It also appears capable of lowering cholesterol and triglyceride levels. Diabetes is one of the few areas where holy basil has been formally tested in people. It has a history of traditional use but has received little scientific scrutiny. Not much is known about its long-term safety. Few side effects have been noted. It can be used in cooking but heat treatment renders much of the tulsi’s natural chemicals impotent, thus reducing its healing prowess. It is better to eat it raw. Use this easy to make spread, as a condiment on sandwiches, a base for salad dressings, and a main flavor contender for your next grill party. Place in blender or food processor. Blend with enough oil to make a smooth paste. Add pinch of salt to taste. Add one teaspoon of lemon juice per cup of spread to prevent discoloring. Use as a spread. Can be frozen for winter use. Use plain, as a spread on sandwiches. Try fresh sliced tomato! Thin with a bit more oil and vinegar for a fresh salad dressing. Add enough oil to make a thin slurry, baste chicken on the grill. Add equal parts mayo and sour cream for a great veggie dip. Ginkgo (Ginkgo biloba) products come from the leaves of the only surviving member of the ginkgo family, a species that has existed for more than 200 million years. Most commercial leaf production is from plantations in South Carolina, France, and China. Ginkgo leaf has been cultivated since the fifteenth century in China, where the leaves were used to “benefit the brain” and treat lung disorders, cough and asthma symptoms, and diarrhea. Today, ginkgo is one of the best-selling herbal medicines in Europe. Most research focuses on using ginkgo to increase circulation to the extremities and the brain, and more than 400 scientific studies support its use for this. Scientists attribute ginkgo’s health benefits to unique compounds called flavone glycosides and ginkgolides, which inhibit development of cardiovascular, inflammatory, and respiratory disorders. Ginkgo is a strong antioxidant—it directs its free-radical scavenging activity to the brain, central nervous system, and cardiovascular system. This is what makes it promising in the treatment of age-related declines of brain function. In the January-February issue of the journal Anticancer Research, the investigators reported that treating mice with an extract of leaves of Ginkgo biloba both before and after implanting human breast or brain (glioma) tumors decreased expression of a cell receptor associated with invasive cancer. This decreased expression slowed the growth of the breast tumors by 80 percent as long as the extract was used, compared to untreated mice, and also reduced the size of the brain tumors, but temporarily, and to a lesser extent. It is very encouraging that Ginkgo biloba appeared to reduce the aggressiveness of these cancers, because it suggests that the leaves could be useful in some early stage diseases to prevent them from becoming invasive, or spreading. But I must stress that this is a study in mice, and so we cannot say what anticancer effects, if any, Gingko biloba might offer humans A typical dose is three capsules containing at least 40 mg of standardized extract daily. It must be used for six to eight weeks to produce results. Ginkgo can cause gastrointestinal upset, headaches, or skin ­allergies. The following recipe comes from 5 generations of Chinese families It is served at the country's first medicinal herb restaurant, the Emperor in San Francisco. How Easy is Apple Sauce? Child's Play! When I was a child, our family existed on a PA Dutch diet that rarely included any of the really spectacular dishes for which the region is known. All of the adults worked too hard to roll out dough or do any fancy baking or canning, in addition to the fact that they just weren't into it. Meat, starch, and veggies combined to make our usual suppers. It was good, hearty food, but salt, onions and butter were our main additions for flavoring. I was lucky though. As long as I can remember, I roamed freely in about a mile or two radius. My little 15" forest green and rusty silver bicycle took me everywhere. An Italian family about 1/4 mile away had 4 girls around my age, and for a while there, they probably wondered if they had somehow gained another daughter. I can still remember some of the meals I ate with the Caterbones, and their father had an Italian bakery downtown, making the best breads and pastries around. Garlic, herbs and spices we never used were staples in their kitchen, and I loved it all. By the way, before it comes up, there has never been a time in my life where anyone thought of calling me wispy or dainty, and I can only assume mothers set a place at the table for me so often because I appreciated their cooking wholeheartedly. Another 1/4 mile up the road was the Longenecker's house. In 4th grade, Debbie and I became fast friends. Her family was a farm family. Their basement wall was a treasure trove of beautiful jewel-toned jars of canned fruits, vegetables, meats, and pickles. It was truly a sight to behold. With 8 children (I think...) they took it pretty seriously. They also had an amazing pantry - a full room of shelves, stocked with everything a cook could want. Debbie knew how to do all kinds of things I didn't. She was a very self-sufficient girl, and I learned a lot there. That's where we made hard candy that they sold - long evenings around the table cutting long strips of molten candy that the father would throw to us in turns. Lots of hands made fast work of it. So it shouldn't have been a surprise when one day after school, Debbie suggested that we make apple sauce to go with supper that night. But it was. She laughed at the face I made. 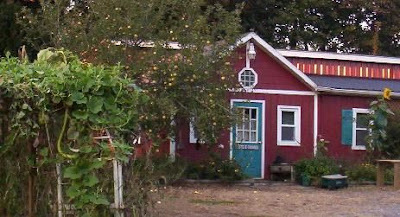 We took a basket and went out to the tree far out in the yard and scooped up a couple dozen apples. Soon we had a couple of quarts of the best apple sauce ever. 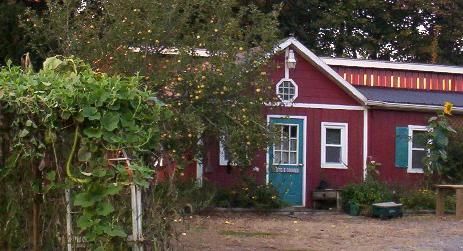 There is a golden delicious apple tree growing in front of my sister's workshop. It's been producing well for a couple of years, but I never really did anything with the apples. A few get eaten, but most do not. This year, I decided to try apple sauce again. It was so good that I will make more, and plan to try apple butter next week. Here's how it works. I brought a couple dozen apples home, and cored them. They got chopped into about 1" pieces. As I was chopping them up and taking out any imperfections, I thought about how commercial processors would just leave that in. Bonus #1! The apples go into a pan with a cup or so of water. Once they come to a boil, they are covered and turned down to simmer until they are soft. In the meantime, I got out the equipment that I would need - a bowl and a food mill. If you don't have a mill, peel the apples before cooking and use an old fashioned potato masher. Strain the apples lightly, and put a ladle or two of them into the mill. Continue until all of the apples are sauced. I got out my micro-plane and ground some fresh cinnamon into the sauce. At this point, you could add a little sugar (my friend Becky uses honey). So now I have a quart of fresh, organic apple sauce. The apples were less than an hour from tree to sauce. It is DELICIOUS. There are a myriad of sachet ideas for women and girls, but not so many for the men on our gift lists. This is a recycled craft idea that I saw in a magazine about 30 years ago. The originals were crafted from recycled tuxedo shirts and used for wedding party favors. I’ve made them on a few occasions, but usually just out of interestingly patterned cotton men’s shirts from thrift stores and garage sales. Mainly because I have no fast growing sons and my husband’s shirts are not usable by the time he’s ready to recycle them. Wash the shirts thoroughly with unscented laundry soap. You may need to pre-soak the shirts in some neutralizing Borax or leave them on the clothesline in the rain to remove the scents of previous laundry soaps and softeners. Cut all of the shirts apart carefully. Cut off sleeves at the shoulders. Cut up the sides of their bodies and along the yolk to the collar. I cut the collars off, leaving about 4” on either side of the front button placket. Cut off and save those ‘extra buttons” they may come in handy for some other project. Collar buttons can be removed using a seam ripper and picking out the threads from the fronts of the buttons. Iron all the pieces of shirt fabric. Sew the button placket closed on both sides of the buttons. You will need to experiment for size and button layouts, but I usually cut 5” or 6”squares. Cut some similarly sized squares from backs, sleeves, or fronts, depending on how big the shirt is. If you’re not a really exacting seamstress, consider turning lined or checkered patterns side ways for the back so no one will notice if stripes and checks don’t exactly line up. Place right sides together and sew a 1/4” seam around three edges, leaving the "bottom” unsown. Turn right side out, thumbnail press the edges flat and crisp. Fold under a ½” edge for the bottom. Sew the three previously sewn sides with a 1/4 “ "French seam”. Stuff well with potpourri of your choice, and then sew the shirt closed. You can fabricate a “bow tie” out of grosgrain ribbon or bias tape and stitch it onto the top of the shirt. Voila, a “stuffed shirt” sachet for men! But wait there’s more. You can make wrap sacks out of the “shirt cloth” sleeves for bottled men’s cosmetics shaving or bath stuff - or soap sets. Shirts with pockets probably hold some magical potential as well. You can mix and match similar or different colored squares of shirt fabric and sew them together in the same manner (minus buttons and ties) and have interesting “manly sachets” for the less formal occasions. And don’t overlook rectangular shaped shoe sachets. You can do the same thing with those western snap front shirts. You could probably fashion a bolo tie out of soutache or rat-tail trim and a snazzy button if you were feeling seriously silly. Flannel shirts can also be used. Bias tape or small scrap cloth suspenders could be stitched down the sides of the front of the flannel shirt between the edge and the button placket, before it’s sewn to the back. There’s no end to it…until you make one. There has been a lot of reporting elsewhere of the hurricanes that have come up the coast this fall - first Irene, and then Lee. Here's hoping they are finished with this route for the year! We can't really complain here on the hill. We never needed to leave our house or fear that we would lose them. So many others cannot say that. That is not to say that we haven't been effected, however. We're a good solid week behind on soap production - which naturally coincides with a couple of great new accounts as well as our annual wholesale trade show that keeps us busy for a month filling orders. The soap workshop "took on water" as they say. Fortunately, we keep almost everything up on wheeled platforms or in plastic bins. That saved us from untold damage and aggravation, allowing everything to be moved out while clean-up took place. The grass carpeting just got hauled out and dried quickly in the sun. Fans, dehumidifier, and time did their work, and the workshop is cleaner than it was when we started, with no extraneous stuff laying around. Computers, modems, and wireless routers took a beating, and between us we're almost back to normal and ready to take on the next issue deadline tomorrow. Some other oddities that are storm related - part of the basement lost power and bees that typically nest in the ground have decided to set up housekeeping in the corner of the siding on the house (coincidentally within a foot or two of where the power enters the house). So that's the report from here. We were stuck for a couple of days here on the hill, unable to get anywhere, but we were safe and dry at home. So many others were not. Now I'm going to get to work and will have something more fun to report soon. 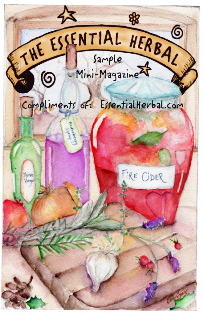 In the September/October '11 issue of The Essential Herbal, Stephany Hoffelt wrote a great article about making elixirs, including some really interesting recipes. This is precisely the sort of article that sits in my brain without me even really being aware of it, only to jump out later and get me creating. In May, my sister and I were at some herbal event and picked up some infused honeys. Mine was down at her house until the other day. I took it out of the bag and noticed that the hot weather this summer caused the overfilled bottle to ooze, so that jar of honey has been looking at me for about 2 days, stuck to a piece of scrap paper to protect the counter. Suddenly, I thought about the elixir article. And we were off! First stop (after grabbing a 24oz jar) was to go upstairs and choose some of the holy basil that was drying from the other day, and stuff that in the jar. As I was doing that, I started wishing there was some fresh mimosa around - and then I remembered a couple of ounces of '09 mimosa vintage tincture (heh heh), and thought.... why not? Why NOT add tincture to an elixir rather than plain vodka or brandy? First I poured most of the honey over the holy basil before adding an ounce or two of dried elderberries, and covering them with the rest of the honey. Then came the fragrant wild rose petals. Next the mimosa tincture, and then it was topped off with plain vodka (although I toyed with the idea of some echinacea, some osha, and a few others...). This will be a very sweet elixir. I'm picturing it as something that will sweeten hot winter teas when the bugs and blues of the outside world come trying to break down my door. We almost never get sick here. Perhaps once every couple of years one of us will catch a virus. At our ages (excluding the "kids"), we have bigger fish to fry, but on the self-limiting stuff we do pretty well. The kids are still in college, so they have a lot more exposure. Once everything was in the jar, it got stirred well with a stainless skewer to release any bubbles and get the mixing process going. The lid went on and there was much shaking and turning end to end. Finally, and perhaps equally important, the label. We'll try it in a few weeks. It may need some lemon peel and fennel seeds. Or maybe cinnamon and orange peel. Or it might just need a vanilla bean. Vanilla beans make everything better! Yes, I know it's my turn to post pictures of my garden. Yes, I know this is called procrastination.